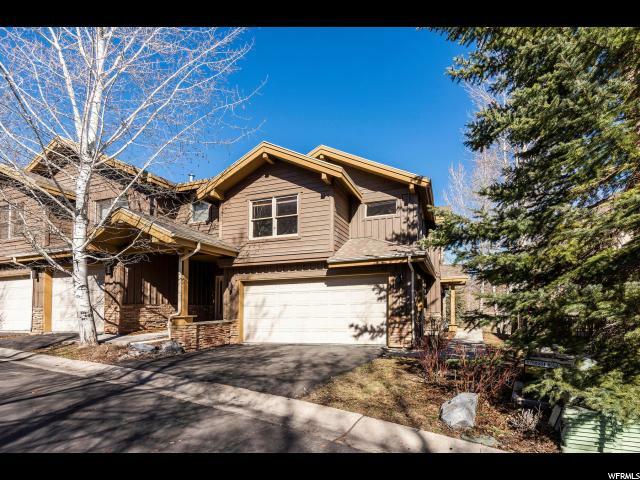 All CANYON CROSSING homes currently listed for sale in Park City as of 04/25/2019 are shown below. You can change the search criteria at any time by pressing the 'Change Search' button below. "This three level townhome overlooks the Rail Trail. Short walk to bus stop and all that Park City has to offer. Very convenient location in Canyon Crossing. Top level has lovely en suite master bedroom with a walk-in closet and a private deck. Two additional bedrooms that share a bath. Open floor plan with a wood burning fireplace on main level. This one is just waiting for a buyer to put their personal touches into it. Lower level walkout has a gas fireplace in the family room. Great expanded owners closet under stairs and a full bath. Would make a great rental property."